This is a guest post from Natalie Peace of PeaceAndProfit.com. She is the author of 30 Keys to Building a Multi-Million Dollar Business: What They Didn’t Teach Me in Business School. Natalie is an entrepreneur, business coach, and she’s currently writing a book on how to start a wildly successful business. Looking at the businesses I’ve built, managed, and sold (worth $2 million) by the age of 30, I’ve been reflecting lately on what set the foundation for my achievements so that I can help others experience financial security and abundance. I believe my success is the result of an unusual childhood, and a few unique things my parents did to set me up for success. My father actually paid me $2 to listen to each chapter of an audiobook and then summarize the main points in my own words, so I wound up listening to dozens of audiobooks throughout my childhood. (I didn’t get paid for chores as they were simply expected of me.) The trick was that he would choose books on management, wealth building, and personal growth. I was four years old when he started this, and as a result I became fascinated with human potential and manifesting wealth long before I was even old enough to have a paper route or babysitting job. All this knowledge seeped into my young, fertile brain and shaped my subconscious, priming me to be a confident entrepreneur and manager. People often tell me about great, classic books they read by people like Napoleon Hill, Og Mandino, Denis Waitley, and Zig Ziglar and I smile, fondly recalling my experience listening to those masters. Both of my parents went out of their way to make sure I felt heard, understood and valued. They would explain to me what was interesting and important about anything I was saying and would then expand on the topic with their own knowledge. And they were always willing to answer the million “why” questions I asked, with real answers. They never responded “because I said so. Researcher Brené Brown talks about the concept of teaching children that they are worthy of love and belonging, rather than telling them they’re perfect. This is a big distinction, and I believe I’m a good example of why this works. There will be days when the world is going to chew you up and spit you out. People are going to laugh at you and call you names, and they will reject you and your ideas. Knowing all of this will happen to your child and insisting that they are perfect no matter what will not help them. No one is perfect. We don’t need to be! Instead, we can learn to hear feedback from others through a filter that says we’re completely lovable as we are. If we know for certain we are lovable regardless of what people do or say to us, we can then hear criticism and search it objectively for meaningful clues on how we can improve. My mom has always shown me a great deal of love and affection, and it’s certainly one of the biggest secrets of my success. When I was a teenager, Dad had me mowing his yard, which was a sprawling acreage back then. Of course I had more fun things to do than household chores, so I got it done as quickly as possible. One day when I had finished, he thanked me and told me he wanted to tell the neighbors about my mowing skills, so they would hire me to do their yards as well. The prospect of making cash appealed to me, so I was all ears. My dad then said, “Let’s take a look at the yard now. Are you happy with how it looks? Would you sign your name to this job, proudly telling people you did it?” As I surveyed my hasty mowing efforts, it was plain to see that I had left behind several tufts and swatches of grass. I realized that no one who’d seen this would hire me to take care of their yard. My dad could have yelled at me for being lazy, but he chose instead to demonstrate the benefit of a solid work ethic. I was not allowed to indulge myself in negative self-talk. I was shown how to cancel negative beliefs (like “I can’t do this”), and replace them with positive ones, focusing on the desired outcome. I started doing visualization exercises and focusing on goal-setting at the age of five, beginning with small goals like teaching my dog how to sit and saving up to buy a bike. When I had success achieving these goals, it gave me the confidence to reach for bigger things, with the belief that I would attain them. I was encouraged to set goals in all areas of my life — when I was six, I wanted the training wheels off my bike and knew it would take practice to get there. When I was 12, I set a goal to take a babysitting course so I could earn money. When I was 13, I set a goal of being a really good friend. As a result of a somewhat unique upbringing — thank you, Mom and Dad! — I don’t have a fear of success, and I know that creating abundant wealth is possible. What other unusual and effective parenting methods have you used or observed to set kids up for success? Share them in the comments! The time comes when every parent has to assist their child in making the right choice of university or college. This all important decision should not be left until the last moment but requires considerable time, thought, and research. When you consider the fact that three to four years of your child’s life plus an investment of thousands of dollars into his/her education is required, it is prudent to get involved as a parent. So how do you ensure that you’re making the right decision? The first thing that parents need to do is know your child. You should know what his interests and gifting are. If your child loves the Arts, then you cannot be, or should not be forcing him to pursue the Sciences. You should also know whether or not your teen works best independently or in a group setting; or whether he learns better in a small classroom setting. Is your teen easily distracted and lacks self-discipline or is he focused and disciplined? All these factors will play a major part in your choice of college or university. Secondly, much research has to be done on the programs that your child is interested in and compare and contrast each college/university’s offering of that program. Which ones are best geared towards his career goals and which subjects are a better fit for what he’s interested in. Thirdly, cost is usually a significant factor in coming to a decision. Therefore, after narrowing the choices down based on the first two factors, you must compare the cost of your child studying at one particular college as against another. In addition to tuition, your finances will determine whether or not your child can attend a local college/university or one away from home. Can he attend the more expensive Ivy League university or will it be more affordable for him to attend an equally reputable but less expensive one? Fourthly, it is also a good thing to consider campus spirit as you’d want your teen to enjoy campus life. What clubs does each university/college offer and what opportunities are there for self-development or for community service? Lastly, it is good to visit the various campuses and get a feel of the environment in which your teen will be. On campus tours, you’ll meet professors and lecturers and hear directly from them on their accessibility. This is indeed one of the most exciting times in a parents and teens life and after all the research is done, both parties should feel comfortable and happy with the decision made. Modern educational system of the UAE,which was introduced in the beginning of the 1970s, comprises a number of private and governmental educational establishments available both for male and female students. It has 4 academic levels, including primary, preparatory, secondary and higher education. The first three levels are compulsory. Governmental schools, colleges and universities are opened for the students to study for free. 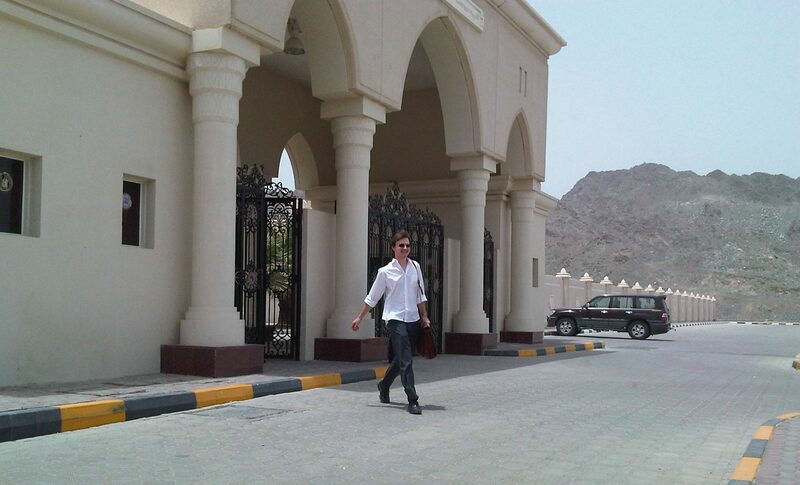 Currently, about 40% of educational establishments in the UAE are private (The US Department of State, 2007). Recently, a lot of schools throughout the United States adopted school uniform policies and made it a requirement for the students to wear uniforms. School administrations underline that wearing uniforms has positive effects on academic success and behavior of the students. However, a lot of sociologists argue that there are also certain drawbacks of a compulsory uniform system in schools. That is why the issue of school uniforms is a popular debate topic among teachers and parents.